Thinking of a special gift to give to your beloved ones? 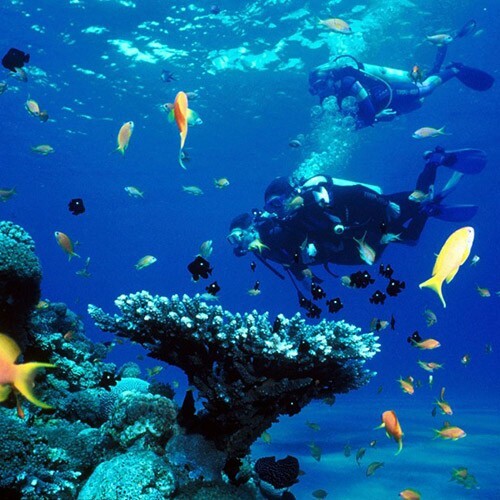 A scuba diving discovery lesson is the best choice for the sports lovers. The diving session will take place at the Movenpick Hotel and Resort Beirut. The lesson is for first timers and includes briefing about diving, equipment and a dive up to 8 meters for two hours. Our experienced instructors will make sure you will enjoy this experience in a safe learning environment. You will want to come back for more! !